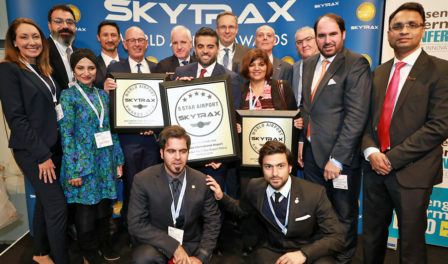 The World Airport Awards began in 1999, when Skytrax launched its first global, Airport customer satisfaction survey. They are regarded as a quality benchmark for the world airport industry, assessing customer service and facilities. All entries screened to identify each IP / user information, with duplicate or ineligible entries deleted. Award winning airports are able to use the Award logos at no charge. The customer survey is not connected to any type of trade association. No third party survey involvement or sponsorship of the Survey process. The survey evaluates traveller experiences across different airport service and product key performance indicators - from check-in, arrivals, transfers, shopping, security and immigration through to departure at the gate.